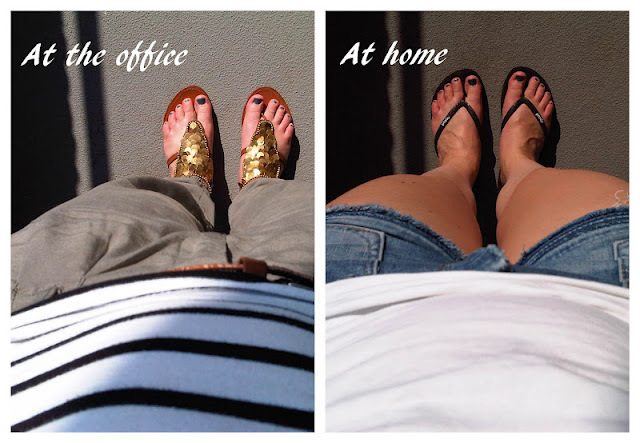 Amy's Fashion Scrapbook: Outfit: Why I Love Weekends! The title and the Blackberry photo say enough! Still not sure what message I'm sending? Why I love weekends? (especially during summer!) Three words: Shorts, shorts, shorts. I'm a (Dutch) Kiwi born and raised, so all I need is a pair of shorts and flip flops (we kiwi's call them jandals by the way) and your good to go. elkaar volgen via GFC &bloglovin'? xloves. Eindelijk thuis en genieten van de zon, enjoy!